Love pumpkin? Set your tired pie recipe aside, because it’s time to mix things up this fall. Both sweet and savory, our roundup includes pumpkin-based dishes that are sure to satisfy at breakfast, lunch, dinner, and dessert, plus snack time and the cocktail hour. Read more now on Foodal. 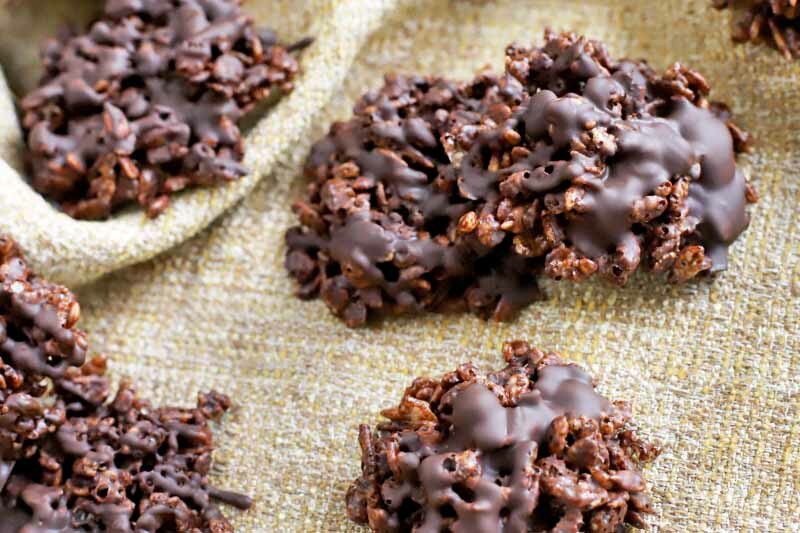 Our unbelievable no-bake gluten-free crispy chocolate cookie treats are a healthy dessert solution or afternoon snack. Sweet and rich, these are made with ingredients that you can feel good about eating, like rice cereal, sunflower seeds, and ground flax. No nuts, no dairy, and no guilt! Get the recipe now on Foodal. 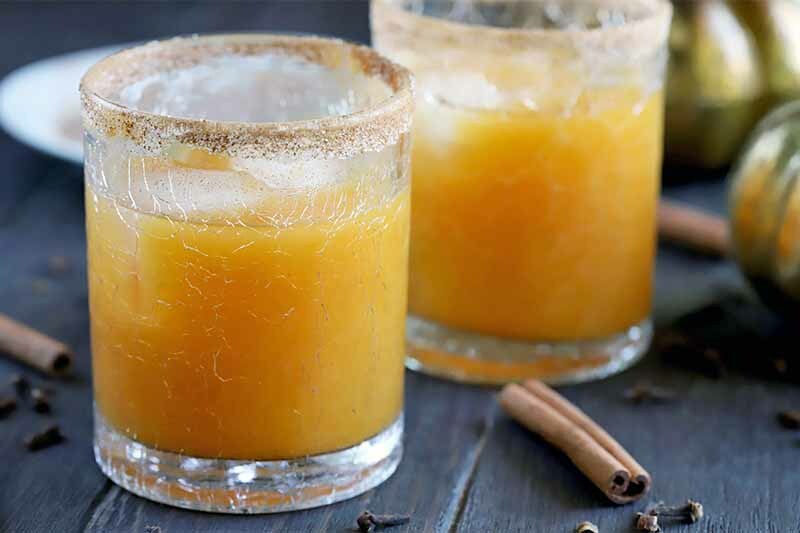 An autumnal twist on the traditional margarita, our pumpkin spice version is a delicious new way to enjoy tequila. Infused with the flavors of fall, this easy and well-balanced cocktail is one you will find yourself reaching for time and time again throughout the season. Get the recipe now on Foodal. When it comes to savoring the most of fall and whipping up an easy dessert, the best pumpkin trifle recipe is where it’s at. 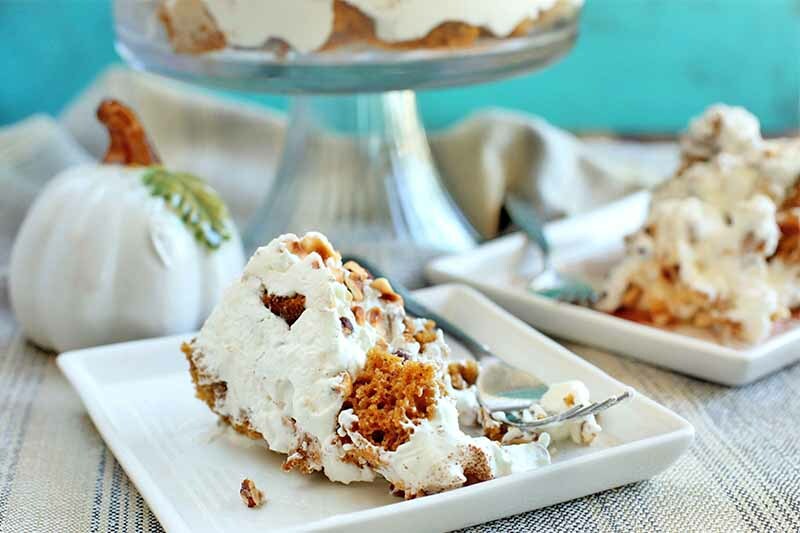 Layers of rich and moist pumpkin cake with honey whipped cream, toasted hazelnuts, and cinnamon come together in a bite of pure heaven. Read more on Foodal about how simple this treat is to make. Looking for a Halloween-themed dessert that’s frightful and delightful? 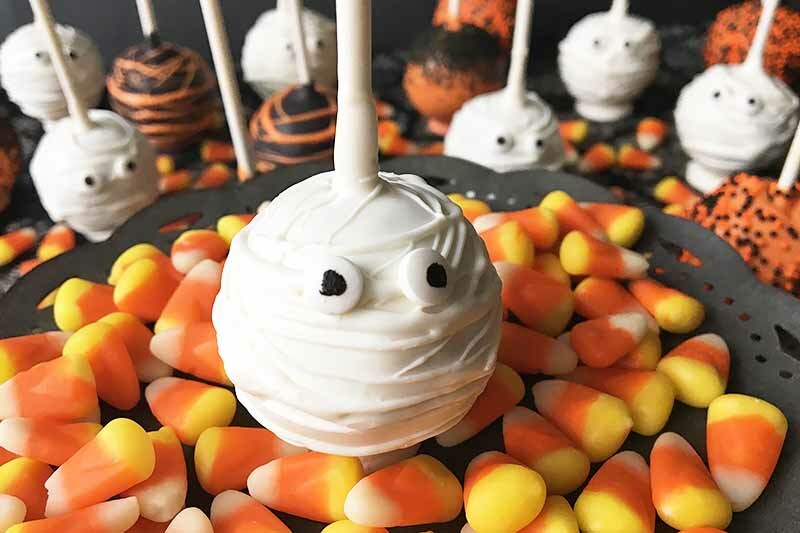 Make these easy cake pops designed to look like mini mummies. For the perfect taste of the fall season, they are made with spiced pumpkin flavors mixed with a creamy vanilla frosting. Learn how to make this festive recipe now on Foodal. 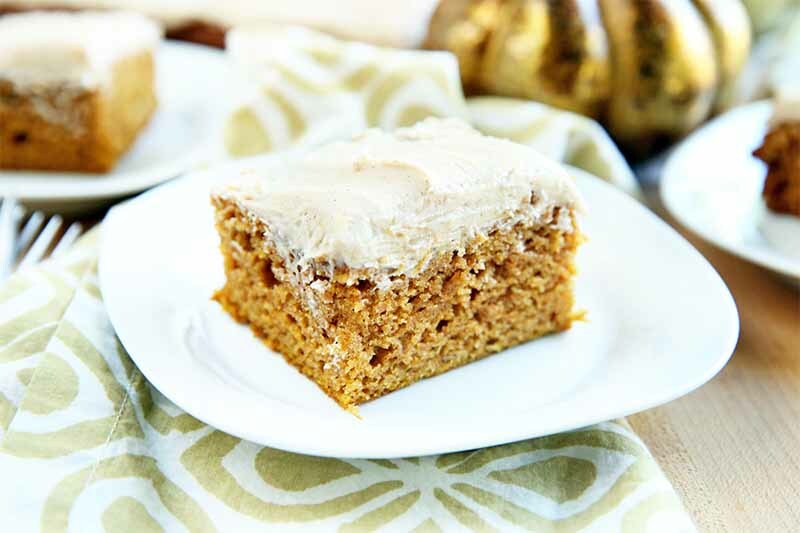 Pumpkin cake with spiced buttercream frosting is the ideal fall dessert. Whether you’re planning a Halloween get-together or feeding a crowd at your Thanksgiving table, you’ll win everyone over with a slice of this moist and flavorful cake. Get the easy recipe for this moist and satisfying seasonal treat now on Foodal. 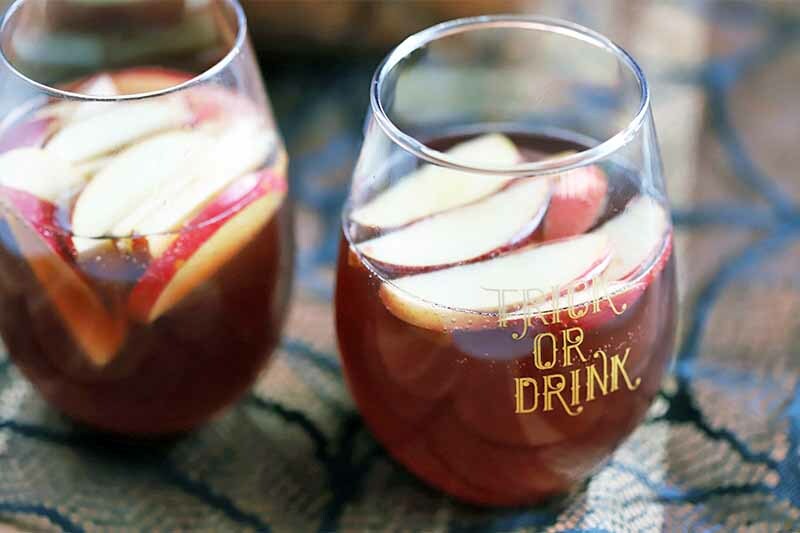 Give your Halloween party guests an extra chill with Gespenstischbowle spooky punch. This German drink is boozy and flavorful, with layers of spirits and fruit juices that will tickle your palate. Add some creepy homemade hand-sicles and you’re ready to get your boo-ze on. Read more and get the recipe now on Foodal. Pumpkin Spice is Everything Nice! 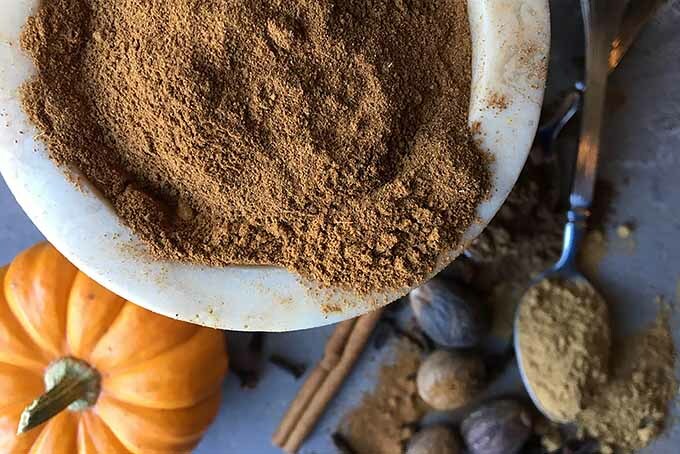 With the arrival of the colder seasons, the warming combination of pumpkin spice (cinnamon, ginger, cloves, allspice, and nutmeg) is a welcome addition to meals and drinks alike. It’s great in baked goods like pies, muffins, pancakes and breads. And yes, it actually makes pumpkin taste better too! Read more about each spice, and learn how to make this easy mixture at home, on Foodal now! 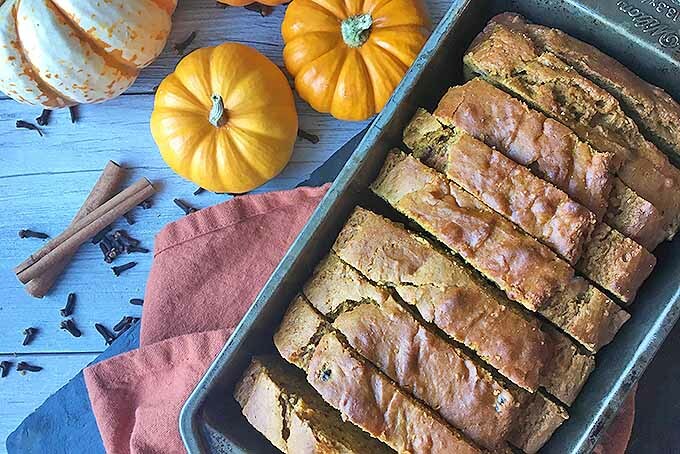 Our simple recipe for homemade pumpkin spice nut bread is made with a beautiful blend of spices, pumpkin puree, and other ingredients you have in your kitchen. We make it super easy for you to mix, bake, and enjoy! Celebrate the fall season now with a thick slice of this sweet and spicy goodie, and get the recipe on Foodal! 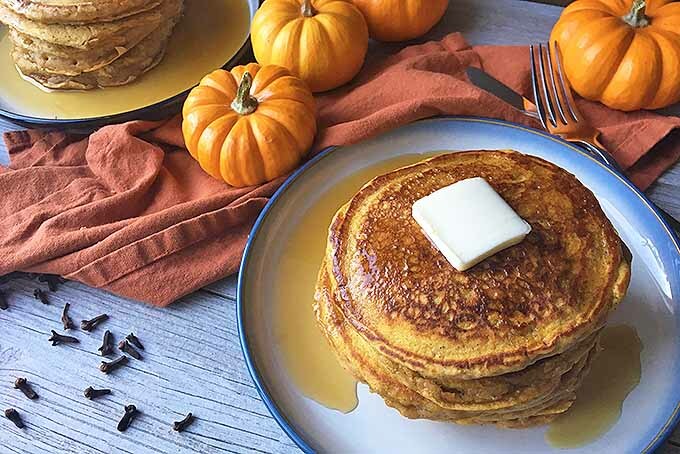 Infuse a little fall fun into your flapjacks with our delicious recipe for fluffy pumpkin spice pancakes. Made with pure pumpkin puree and a medley of spices, breakfast (or brunch, or brinner!) will taste so good. Served with maple syrup, butter, and all your favorite breakfast sides like bacon and eggs, you are sure to get one hearty, fall-inspired meal! Enjoy the recipe now on Foodal. If you’re a big fan of pumpkin and also love sweet treats, then these pumpkin spice scones are your answer. They come together easily in just 30 minutes, and taste simply amazing. Your family and friends are going to love them! 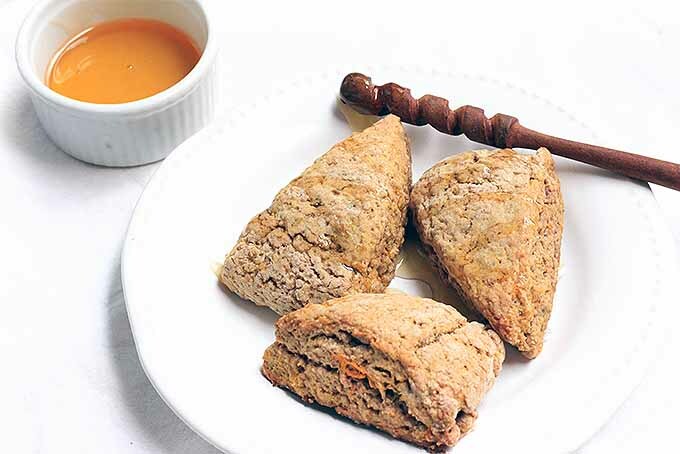 Get the recipe from Foodal now, and make a batch of homemade seasonal scones today! Do you love Asian-style dishes? What about pumpkin? 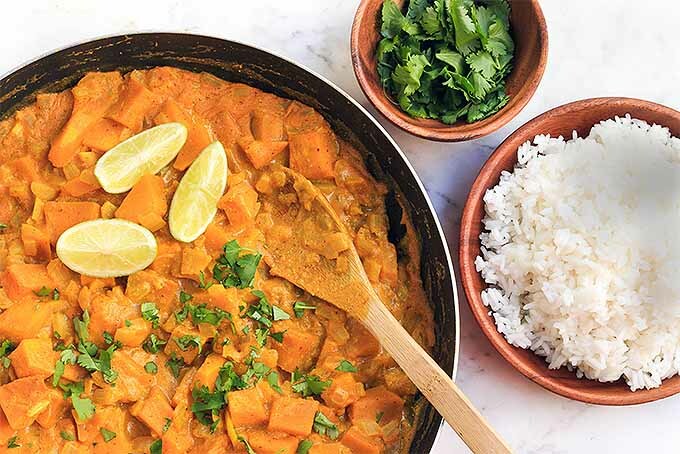 This recipe for pumpkin curry is a combination of both, and it’s not only simple to make, but also extremely comforting and filling. Garnished with cilantro and served alongside basmati rice, this makes the perfect dinner on a chilly evening. Get the recipe now on Foodal and take a culinary trip to Asia!